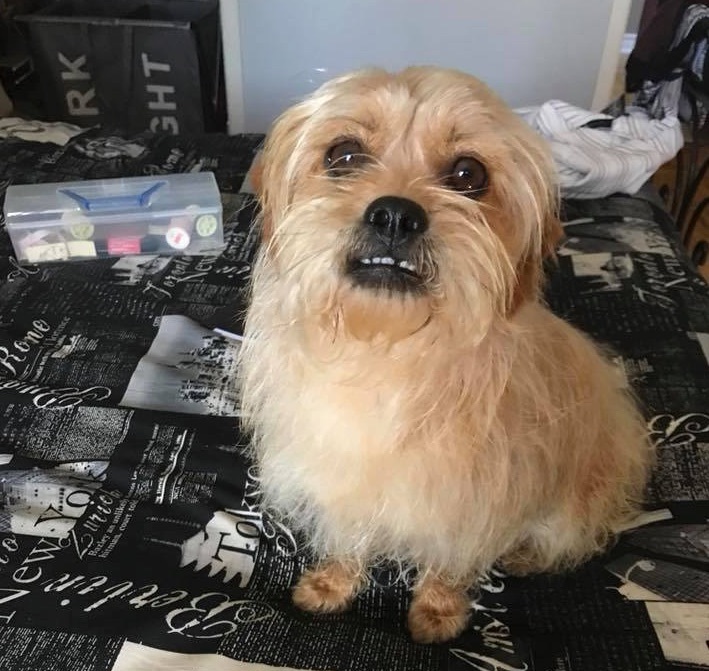 This little Shihtzu mix came to us super scraggly as if he had just spent months on the beaches of California, catching waves. 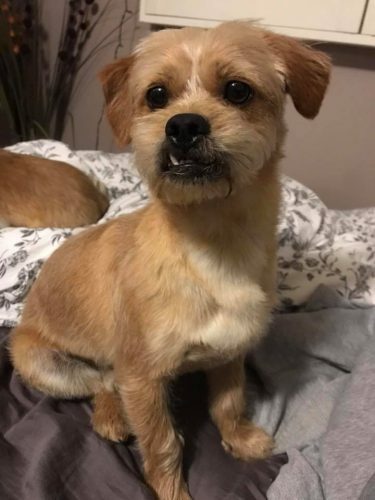 Sammy has a wicked underbite that makes it look like he has a perma-smile. His foster mom took him to the groomers and this little guy came back with a newfound confidence. He’s super playful, extremely gentle and a major cuddlebug. He’s very calm and almost never barks. He enjoys long walks on the sidewalk and staring at himself in the mirror – some might call him a narcissist but I mean if we looked this good, we’d be staring at ourselves too. Sammy is crate trained, housebroken and has just learned to give his paw. His foster family is still working on basic commands such as sit and lie down though he comes when called. He was terrified of stairs and wouldn’t even get close to them but from what we’ve heard, this daredevil has faced his fears and is running up and down the stairs like nobodies business.